When it comes to building and hosting websites, you need to know they are not online. Every minute a client site is offline could mean lost sales, users going back to Google for the competitor or general frustration. To mitigate this, I use UptimeRobot.com to notify me when things start to go wrong. I like it so much, I built my own public facing status page which you can also download and host yourself (See below). UptimeRobot.com can monitor up to 50 sites (or monitors) for changes in state. When a site is not responding, throwing a 503 error or any other HTML error that means the site is not accessible, I get an email notification. This then alerts me to an issue, and I can start to resolve this before the client or any visitors are aware. This lets you escalate to your client if there are ongoing issues, the last thing you want is a client calling you. Proactive support is the way forward. 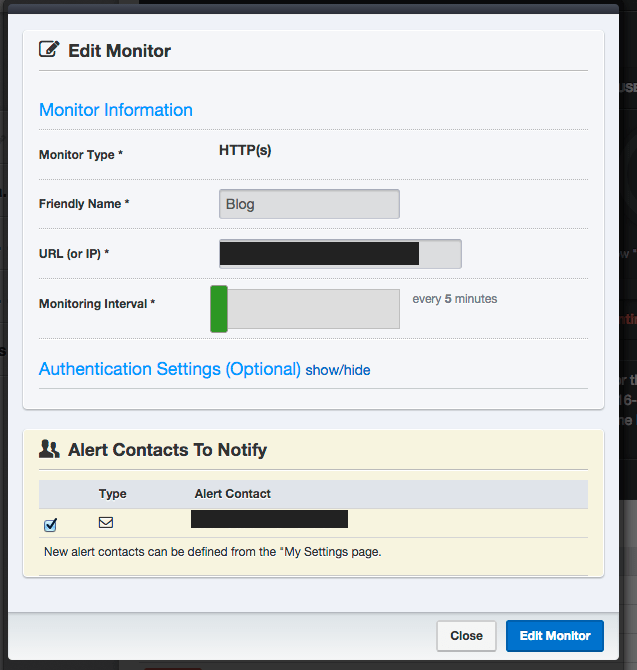 This dashboard is visible once logged in, where you can add/maintain existing monitors. This can also monitor specific internet facing ports, even router login pages if these are public. 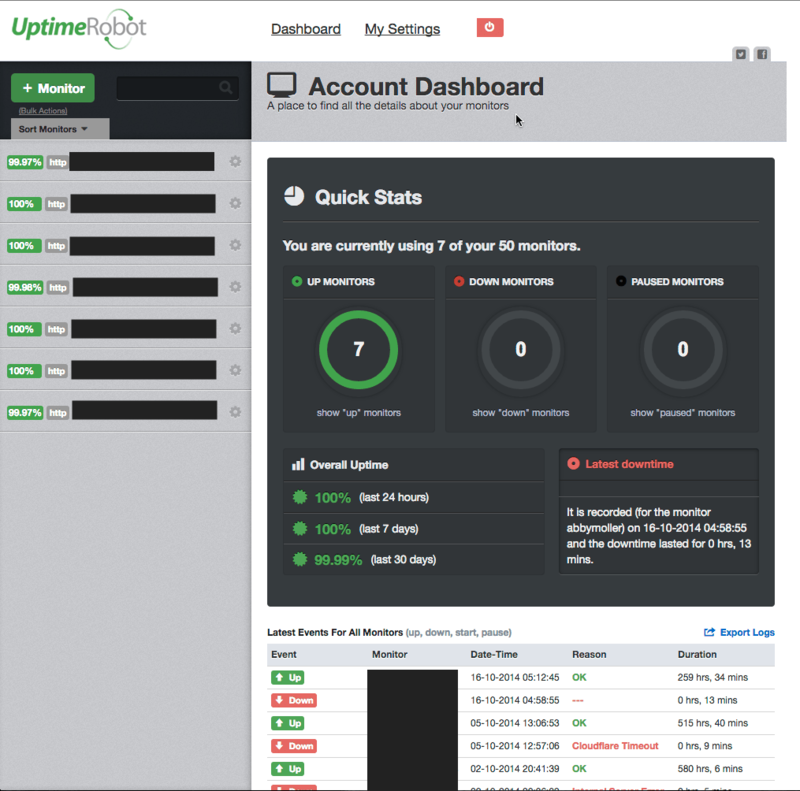 This has been a business saver on multiple occasions, and I can now provide a page to my existing and potential clients showing my live uptime stats at uptime.adammatthews.co.uk (code is open source at GitHub). If you’ve had any experience with UptimeRobot or any comments on systems you use, I’d love to hear them.